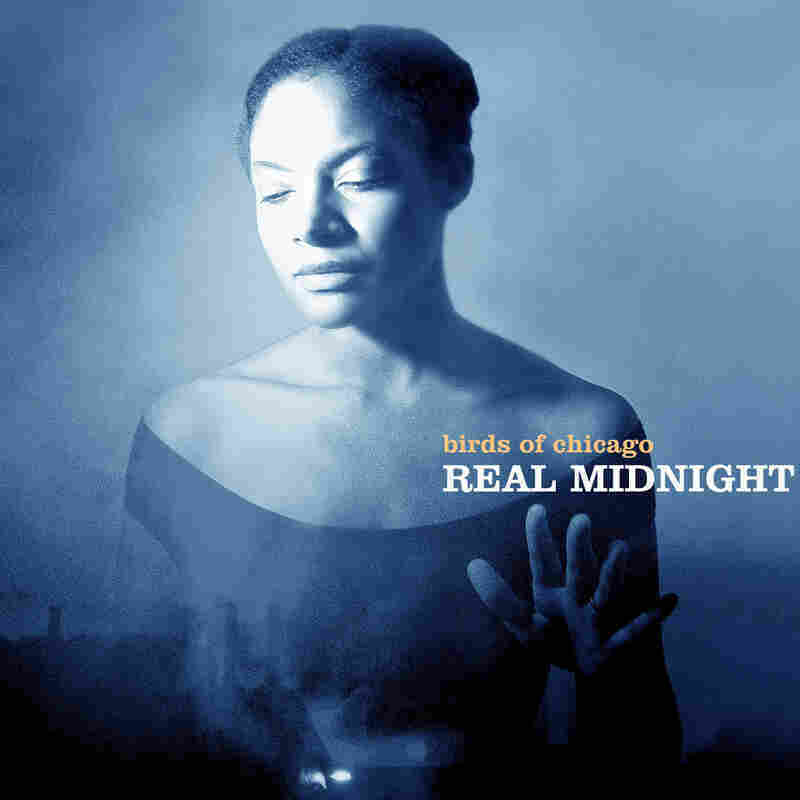 Review: Birds Of Chicago, 'Real Midnight' J.T. Nero and Allison Russell like to describe the music they make as "secular gospel." Their new album together is full of nostalgia, farewells and looming finales. Feminist theologian Wendy Farley once wrote that, "Over the edge of the horizon against which the objects of desire recede lies the world's final answer to all desire: death. The human mind does not tolerate this answer amicably." Musicians have found many different ways to deal with this existential dread: by plunging into its darkest depths, by conjuring the spiritual comfort of an afterlife, by flaunting hedonistic escape. Birds Of Chicago's members chart a path different from any of these on Real Midnight, an album full of nostalgia, farewells and looming finales. Though the group sometimes swells with additional players, at its core is the collaboration between J.T. Nero, who previously fronted his own band, and his wife Allison Russell, formerly of the Canadian roots act Po' Girl. His is the primary songwriting voice, though she also occasionally writes, and hers is the dominant singing voice, though they make ample space for their vocal interplay. Now several years into a partnership in life and music, they have a young daughter, Ida Maeve, whose arrival, they've suggested, had the effect of making their fears about the future more acute. Real Midnight, their Joe Henry-produced second studio album, finds Russell and Nero memorializing the intense, freewheeling, all-too-fleeting attachments of youth ("Remember Wild Horses," "Times And Times"), eulogizing fellow dreamers ("The Good Fight") and meditating on mortality ("Sparrow"). Really, though, they devote most of their creative energies to imagining a richer, more sentient present against that temporal backdrop. With its patient crescendos and evocative sense memories of life's final moments, "Color Of Love" is a work of savoring. The title track, a drifting country-soul ballad, pivots from trepidation to rapture, as two lovers cling to each other, hungry to share in empathy and sensual pleasure. Lest such hefty subject matter seem to leave little room for lighthearted fun, there's the dance number "Estrella Goodbye," a loose-limbed roots-rock romp with an undertone of urgency. "Tomorrow's gonna come and kill tonight," Nero sings with teasing nonchalance. "Least you could do is put up a fight." Throughout these 11 tracks, their performances often feel playful, from the hearty rapport of their harmonizing to Russell's capricious sculpting of enunciation, phrasing and tone. Nero and Russell like to describe the music they make as "secular gospel." As it turns out, that descriptor is well-earned: They show us a way to fully live with the awareness that nothing's forever and everything's at stake.